Judith Lloyd Yero's lively, interactive book takes a close look at the document that defines democracy in the United States and the events that led to the country's creation. Readers learn about the escalation of unrest caused by the King's tax and trade laws, which culminated in the Boston Massacre and the Boston Tea Party. Period illustrations dramatize the evolution of the Declaration itself, and brief biographies highlight key figures such as Samuel Adams, Thomas Paine, and Thomas Jefferson. The document's four sections are examined: the preamble, the list of beliefs, the list of 27 complaints against the King, and the formal statement of independence. The text also discusses the "unfinished business" of the Declaration, such as slavery and women's rights, and stresses the need to protect the rights enshrined in the document. 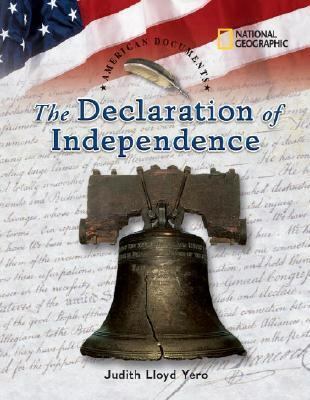 Included in the backmatter are the complete text of the Declaration of Independence, Jefferson's rough draft, and a portion of the Constitution of Virginia, which served as a model for the list of grievances against the King, with a web site reference to the entire document.Yero, Judith Lloyd is the author of 'Declaration of Independence', published 2006 under ISBN 9780792253983 and ISBN 0792253981.